An introduction to the city of Nasik becomes essential here. The present city of Nasik lies on the Western edges of Deccan plateau. During the Ramayana period the area is known as Panchavadi which formed part of the Dandakaranya forest. 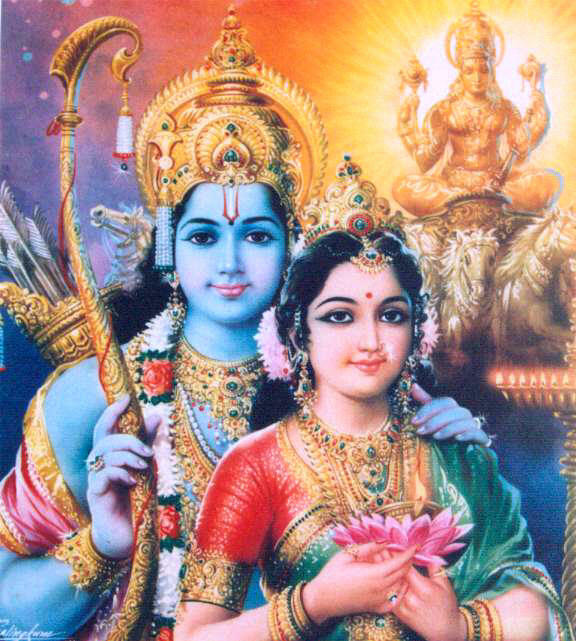 The Panchavadi is richly associated with the story of Ramayan and also the life of Lord Sri Ram. It is believed, Sri Ram spent many years here during his exile from Ayodhya; many events that eventually lead to the killing of Ravana-the demon king of Lanka, had happened here. Presently, the northern part of the Nasik city is known as Panchavadi. The river Godavari flows through this area. This holy river is an important part of the religious tradition of the area. The Panchavadi derived its name from the five banyan (Vadi means Banyan tree in local language) trees that is believed to be part of the ancient Dandakaranya forest. Apart from the Ramayan legacy, the city of Nasik is also famous for the Kumbha mela festival which occurs once in 12 years; a much celebrated event of Hinduism. The mela attracts many to the banks of river Godavari at Nasik. A dip on the stipulated holy time in Godavari is considered holiest to a devote Hindu. The entire city is dotted with many temples associated with the Ramayana legend like Sitha Gumpha Cave, Kalaram Temple, Tapovan(the place of meditation for the Sages in ancient time), Naroshankar Temple( 18 nth century temple), Muktidham Temple(a modern temple with 18 chapters of Bhagavat Gita inscribed on its wall), Pandav Leni caves (a group of 24 Budhist caves); Anjneri- the birth place of Lord Anjaneya (Hanuman) is also nearby. Besides being holy, the city of Nasik is also famous for an altogether different reason; it is also known as the wine city of India, home to famous vineyards. Sitha Gumpha cave is believed to be the place where demon king Ravan kidnapped Sita devi to his fortress in Lanka. This is a cave temple in which idols of Sita Devi along with Lord Sri Ram and Lakshman is worshipped. There is also a Shiva Linga inside the temple worshipped with devotion. Nasik is 180 kilometers from Mumbai. Pune is 200 kilometers far.